posted: September 01, 2017 by: DVM360 Tags: "Clinic Specials" "News"
Ear problems are no fun for dogs - or their owners. Learn more about how otitis externa affects your dog and make sure he or she has an ear-to-ear grin again soon. Otitis externa is an inflammation of the external ear canal that begins at the outside opening of the ear (called the pinna) and extends inward to the ear drum (tympanic membrane). Many things can cause and contribute to otitis including bacteria, fungi, debris, foreign bodies and allergic disease. The environment in the ear is ideal for the growth of bacteria and fungi because it is moist and warm and a fairly protected hiding place. We forget that the ears are lined with skin and many dogs suffering from allergic disease will have inflamed and itchy skin. It stands to reason that the ears would be a place where itchy skin could lead to otitis externa. 1.Medication. All medication and treatments must be given as directed and on schedule. Please call if you cannot complete any of the treatments or doubt the adequacy of your treatment. 2. Diet. Otitis externa has been thought to be a symptom of food allergy or intolerance. A food trial may be necessary to rule out a food allergy. 3. Cleaning the ear. This sometimes helpful if your dog can tolerate it. Let us guide you on which products are appropriate for your dog and how to use them. 4. Pain management. Because of the level of pain associated with otitis externa, general anesthesia is often necessary to allow thorough cleansing of the ear canal and to obtain specimens for culture. We can better choose the appropriate medication if we know the exact identity of the infection in the ears. 5. Recurring infection. The longer the infection has been present, the more difficult it is to clear up. In sever long-standing or recurrent infections, surgery my be necessary. We can help you know what is best for your dog. Otitis externa is sometimes less of a curable condition, but instead must be managed. 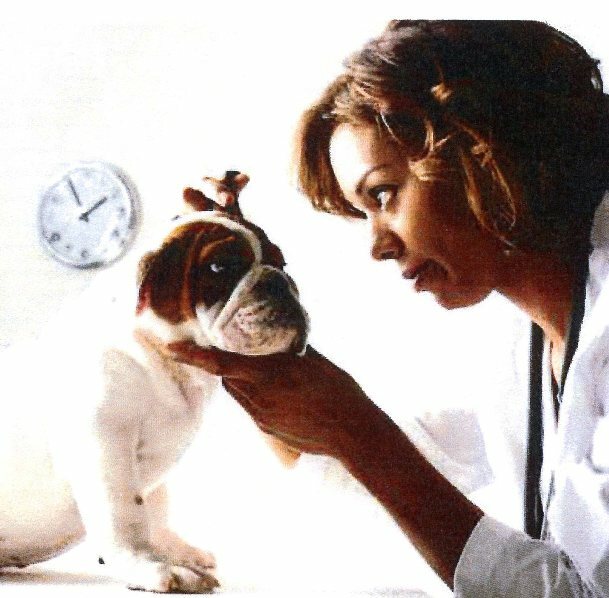 By following your veterinarian's recommendations, you have the best chance for an outcome you can both live with.